DALLAS (March 13, 2018) – Second Thought Theatre continues its 2018 season by reuniting Jenny Ledel and Drew Wall for the area premiere of Empathitrax by Ana Nogueira. Wall and Ledel previously starred opposite each other in Second Thought’s 2015 hit Belleville by Amy Herzog. Carson McCain returns to direct after previously directing The Great God Pan (2016) and assistant directing Belleville and Booth. This year she directs “a compassionate, humorous, and unflinchingly honest portrait of a relationship that dares to test the limits of intimacy.” Empathitrax begins with previews on Wednesday, April 4 and runs through Saturday, April 28. All performances of Empathitrax will take place at Bryant Hall on the Kalita Humphreys Campus, 3636 Turtle Creek Blvd. Tickets to Empathitrax can be purchased online by clicking here. What if repairing a broken relationship was as easy as taking a pill? A new drug that users to experience exactly what another person is feeling could be the miracle cure for one couple – but complications arise when medical advice is ignored, secrets are revealed, and one person’s struggle with depression threatens to consume them both. Sharing the stage again for the first time since 2015’s Belleville, Second Thought Artistic Associate Jenny Ledel Director of Operations Drew Wall star as HER and HIM, a couple so desperate to salvage what’s left of their long-term relationship they opt to remove all barriers between them. Enter Empathitrax – a new pill that allows the user to feel what another being is feeling just by touching. Like any drug, there are unexpected side effects, especially when mixed – or NOT mixed with other drugs – and they must re-examine whether boundaries are necessary to make a relationship work. 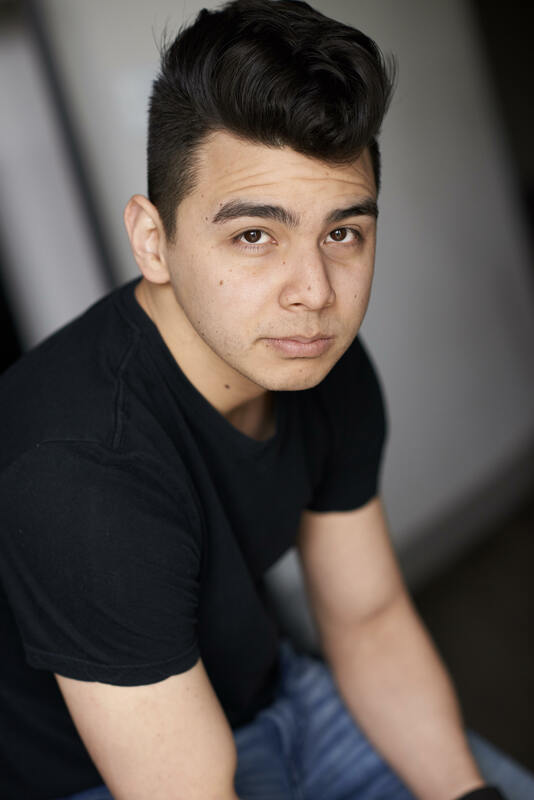 Making his STT debut playing duel roles Joe, an eager sales rep from Empath, and Matty D, HIM’s best friend since high school, is Christopher Llewyn Ramirez who was most recently seen in WaterTower Theatre’s Elliot: A Soldiers Fugue. Aaron Johansen (Hillary and Clinton, The Necessities, Grounded) will design lights, and Preston Gray returns to design sound after making his Second Thought design debut with Hillary and Clinton. Amanda Capshaw returns to design costumes, having previously designed Martyr. Making her Second Thought debut is scenic designer and SMU graduate student Amelia Bransky. Empathitrax opens with previews on Wednesday, April 4 and Thursday, April 5 at 7:30pm. Opening and press night is Friday, April 6 at 8:00pm. The PWYC performances of Empathitrax will take place on Wednesday, April 4; Thursday, April 5; Monday, April 9; Monday, April 16; and Monday, April 23 at 7:30p. PWYC tickets are available at the box office one hour prior to the start of the performance and are subject to availability. Empathitrax runs through April 28. 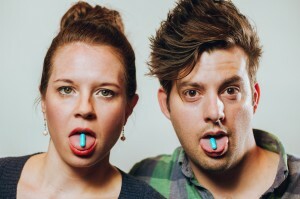 Tickets to Empathitrax are on sale now at secondthoughttheatre.com and can be purchased for $25. Jenny Ledel (Her) is an actor living in Dallas, TX. She is an artistic associate at Second Thought Theatre and a company member at Kitchen Dog Theater. Her other theatrical credits include Trinity Shakespeare Festival, Undermain Theatre, Theatre Three, Texas Shakespeare Festival, The Dallas Museum of Art, Shakespeare in the Bar, ​​Shakespeare Dallas, and WaterTower Theatre. Past Second Thought credits include Anton in Show Business, The Glory of Living, Pluck The Day, Belleville, Othello, A Kid Like Jake, and Grounded. She is a multiple recipient of the DFW Critics Forum Award for Best Actress. She is also a playwright, commercial actor, and voiceover artist. Her television and film credits include One Tree Hill, Spider Veins, and Karma Police. She is represented by The Mary Collins Agency. Christopher Llewyn Ramirez (Joe/Matty D) is so excited to make his Second Thought debut! Past credits include: Elliot: A Soldier’s Fugue, The Great Distance Home (WaterTower Theatre); HAIR, Hood: The Robin Hood Musical Adventure, Public Works: The Tempest (Dallas Theater Center); It Shoulda Been You, Titanic (Uptown Players); Hands on a Hardbody (Theatre Three); The Winter’s Tale, Pericles, The King’s Face (Shakespeare Dallas); South Pacific (Lyric Stage) Zoot Suit, blu, Crystal City 1969 (Cara Mía Theatre Co.); and he assistant directed RENT for Junior Players. He is a graduate of Baylor University and is represented by the Kim Dawson Agency. Chris would like to thank his family, friends, and students for their support! Drew Wall (Him) is the Director of Operations for Second Thought Theatre. DFW (select) credits include: Straight White Men, Nocturne, Belleville, The Great God Pan, Booth, Red Light Winter, Lobby Hero (Second Thought Theatre); Long Way Go Down, Beauty Queen of Leenane, Totalitarians (Kitchen Dog Theater); On The Eve, Defiance (Theater Three); The Dog Problem (Undermain Theater); Royal Society of Antarctica (Stage West). Drew holds a BFA from Baylor University, represented by the Kim Dawson Agency, a company member of Kitchen Dog Theater, and would like to thank Abbey Magill, his friends, and family for their constant love and support. Carson McCain (Director) is a director and producer based in Dallas, TX. She is a 2014 graduate of Southern Methodist University, where she studied acting, directing, and playwriting. There, she received a Meadows Exploration Grant to develop and produce the world premiere of Michelle with Wet Eyeballs by Claire Carson. She currently serves as a Producer for Spoke Media where she has produced and directed numerous audiobooks and podcasts. Dallas theatergoers would have seen her work most recently at Undermain Theatre where she directed Really by Jackie Sibblies Drury. She previously worked with Second Thought Theatre on The Great God Pan by Amy Herzog, Belleville by Amy Herzog, and Booth by Steven Michael Walters. She served as associate director on Dallas Theater Center’s 2016 production of A Christmas Carol and as assistant director on Kitchen Dog’s Production of I’m Gonna Pray for You So Hard. Other directing credits include Middletown by Will Eno, Delirium by Enda Walsh and Theatre O, and the world premiere of Ophelia Underwater by Janielle Kastner. Marcus Pinion (Assistant Director) is thrilled to make his A.D. debut at Second Thought Theatre. He would like to thank his parents for loving him, his mentors for believing in him, and Carson for tolerating him. Directing Credits: Legally Blonde: The Musical (A.D.), St. Joan of the Stockyards (A.D.), A Streetcar Named Desire (Director), The Last Days of Judas Iscariot (Director), so go the ghosts of mexico part two (Undermain, A.D.), Three Sisters (Undermain, A.D.). Preston Gray (Sound Designer) is a recent Dallas transplant, after working six years in the audio industry in Nashville. His work experience includes Pro Audio equipment sales, managing equipment rentals, and freelance mixing for artists. He has system engineered for numerous events and tours, including Kenny Chesney’s Brothers of the Sun and No Shoes Nation. Though most of his experience is with live concert events, he also has a passion for supporting his artist wife. He has designed several of her shows in the past, including Ophelia Underwater by Janielle Kastner and Delirium by Enda Walsh and Theatre O. Most recently he designed Hillary and Clinton at Second Thought, Undermain’s performance of 10 Out of 12 by Anne Washburn, and engineered Dallas performances of We’re Gonna Die by Young Jean Lee. Aaron Johansen (Lighting Designer) is thrilled to be returning to Second Thought for Empathitrax. Aaron spent eight years with the Dallas Theater Center starting as the lighting intern in 2007. In 2015 he amicably departed the company as their Lighting Supervisor to pursue a career as a full-time lighting designer. Aaron has been designing with Second Thought Theatre since 2014 and is very proud to be named an Artistic Associate for the 2018 season. You might have seen his work at Dallas Theater Center, Kitchen Dog Theater (Artistic Company Member), Cry Havoc Theater co., Uptown Players, Dallas Baptist University, Trinity Shakespeare Festival, and Cara Mía Theatre. I hope you enjoy the show! Kendra Emmett (Stage Manager) is brand new to Second Thought Theatre and to Dallas and is thrilled to stage manage Empathitrax. Most recently, Kendra was the Stage Manager and Tour Manager for The Taming of the Shrew and Shakespeare’s Greatest Hits in the Texas Shakespeare Festival 2017 Roadshow. Before landing in Texas, she was the Assistant Tour Manager and Understudy for the 2017-18 Wicked Folly Tour and Assistant Tour Manager and Swing/Understudy for the American Shakespeare Center’s 2016-17 Hungry Hearts Tour, national tours based out of Staunton, Virginia. Favorite past credits include Fan and Mrs. Cratchit in A Christmas Carol and Julia (swing) in The Two Gentlemen of Verona at the American Shakespeare Center; Imogen (understudy) in Cymbeline with Sweet Wag Shakespeare in Staunton; and stage manager and dramaturg for Minnetrista’s Faeries, Sprites and Lights in Muncie, Indiana. She holds a Master’s Degree in Shakespeare and Performance from Mary Baldwin University and a Bachelor’s Degree in Theatre from Indiana Wesleyan University. She is on the Board of Directors of Hoosier Shakes in Marion, Indiana. Amelia Bransky (Scenic Designer) is a Scenic and Costume Designer completing her MFA in Stage Design at Southern Methodist University. She recently designed the set for Frankenstein at Tony Award-winning Dallas Theatre Center. She has designed in Dallas, New York, and California. Selected credits include Birthday Candles (Chautauqua Theatre Company), Rosencrantz and Guildenstern are Dead (SMU), Iphigenia (SMU), Mary Stuart (SMU), and Building the Wall (Chautauqua Theatre Company). She is looking forward to showcasing her portfolio in New York on May 14th at Design Showcase East and is excited to move to NYC following graduation.